Attorney Mike Andrews talks about a recent settlement in litigation brought by former hockey players against the National Hockey League surrounding concussions and CTE (chronic traumatic encephalopathy). Larry Cohen welcomes co-host Cindy Chanley and returning guest, tax attorney Robert Wood from Wood LLP, to explore the arena of non-qualified settlements and how the recent tax reform act is having an impact. A San Francisco federal judge gave the green light for hundreds of lawsuits to go forward claiming Monsanto's popular glyphosate weed killer, Roundup, causes cancer. Will we see settlements? Elder abuse often is a silent and unreported but growing problem. We take a look at the rising rate of nursing home abuse complaints, arbitration agreements, and what can be done to protect the safety of our seniors. Taking a look at wrongful incarceration cases, the benefit of a structured settlement in these cases after compensation, and the impact on the client and their family. How the Beasley Allen law firm’s attorney Rhon Jones is joining forces with the Attorney General of Alabama in litigation to put a halt to the devastating opioid crisis. How to simplify ongoing medical expenses and ease the hassle of the healthcare system. Larry Cohen and Peter Early join Robyn Powell, attorney, writer, and scholar whose work focuses on disability law and policy, to discuss the controversial change to the ADA and the potential impact this could have for disabled people. Class action lawsuits have been filed against Facebook and UK firm Cambridge Analytica on behalf of 85 million users and individual shareholders in response to allegedly obtaining user information without permission. This week on Ringler Radio we discuss data mining, privacy laws, and the impact this will have on the social media giant and you. Adva-Net's mission, their unique approach to chronic pain management, and assisting injured people who are struggling with opioid use. DRI, the Voice of the Defense Bar, is the leading organization of civil defense attorneys and in-house counsel. Litigation against Purdue Pharma, the maker of OxyContin, and the fight against the opioid epidemic. Alan S. Pierce discusses a measure signed into law this year nullifying the Occupational Safety and Health Administration (OSHA) rule regarding an employer's obligation to keep accurate injury and illness records. Helena Berger, CEO of the AAPD, discusses her thoughts on the recent healthcare repeal effort, the importance of the disability vote, and making strides in the fight for people with disabilities. How can the legal community alleviate the loss left by the storm and guide some through the complexities of litigation. 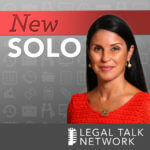 Larry Cohen and Ringler colleague, Erin Muller and hear from AdamPotter, the CEO and Founder of the Claims and Litigation Management Alliance (CLM), about the new UCC program, benefits, recent legislation and nationwide implementation. Insurance trial lawyer Gary L. Wickert talks driverless car litigation, liability, and how claims professionals and attorneys should become familiar with the latest in driverless car technology. Greg Micoletti talks about the dissipation of personal injury settlements and what to do to prevent it. Host Larry Cohen and co-host Peter Early take on the topic of litigation when it comes to nursing home residents. In Part Two of this two part series on Ringler Radio, host Larry Cohen joins Attorney Daniel S. Chamberlain, as Dan gives the latest update on the NFL Concussion Lawsuit Settlement. Don’t miss it! Visit Ringler Associates to contact a consultant in your area about structured settlements.